One species of Alyssum, Small Alison (A. alyssoides), is recorded in Britain. The BSBI provide a downloadable plant crib for Brassicaceae. Four British miners are recorded on Alyssum. A key to the European miners recorded on Alyssum is provided in Bladmineerders van Europa. Polyphagous. On numerous genera and species of Brassicaceae, Capparaceae, Resedaceae and Tropaeolaceae, including Cochlearia, but not yet on Alyssum, in Britain and Alyssum elsewhere. Widespread in Britain and continental Europe. Also recorded in the Republic of Ireland. Polyphagous. On numerous genera of Brassicaceae, Asteraceae, Papaveraceae, Resedaceae, Tropaeolaceae and Violaceae, including Alliaria, Barbarea, Brassica, Cheiranthus, Cochlearia, Coincyia, Conringia, Diplotaxis, ? Eruca, Erysimum, ? Hesperis. Lepidium, Matthiola, Raphanus, ? Rorippa and Sinapis, but not yet on Alyssum, in Britain. On additional genera of these families and Fabaceae elsewhere. Widespread, from Caithness in the north to Cornwall in the south of Britain. Also recorded in the Republic of Ireland, Europe, the East Palaearctic, Near East and Neartic Region. Polyphagous. 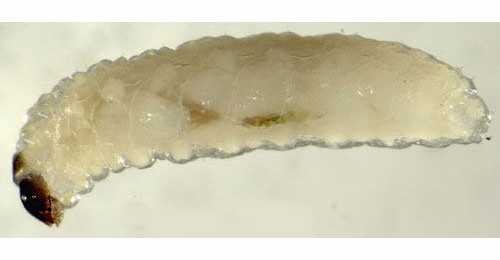 On more than 40 host genera in 15 families, but not yet on Alyssum, in Britain and elsewhere. Widespread throughout Britain. Also recorded in the Republic of Ireland. Widespread in continental Europe. 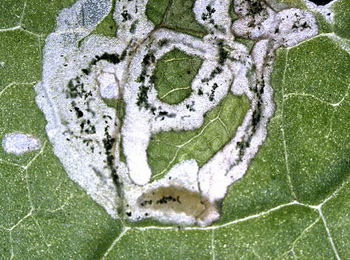 Chromatomyia horticola has been recorded on Alyssum in Britain.